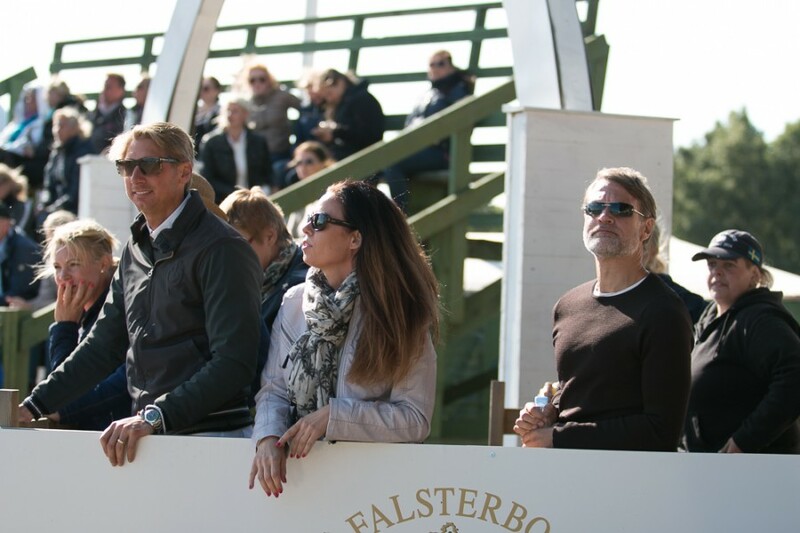 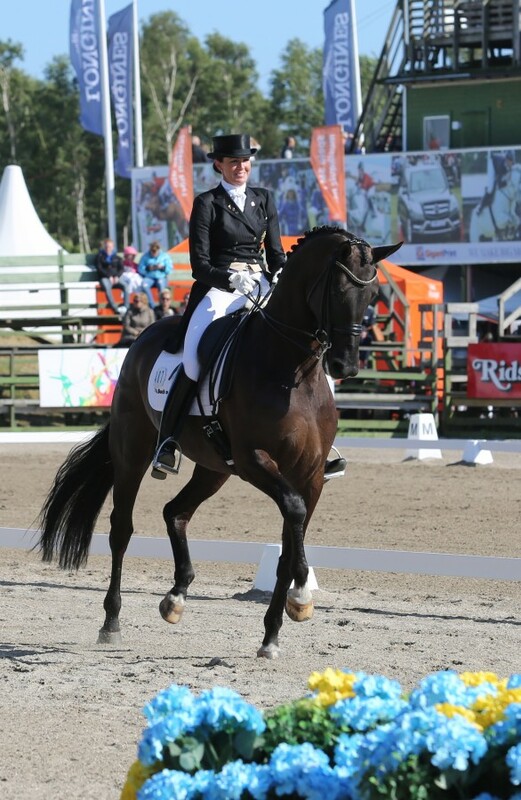 15-07-2015 | Lyndal has gone from strength to strength this week at Falsterbo. 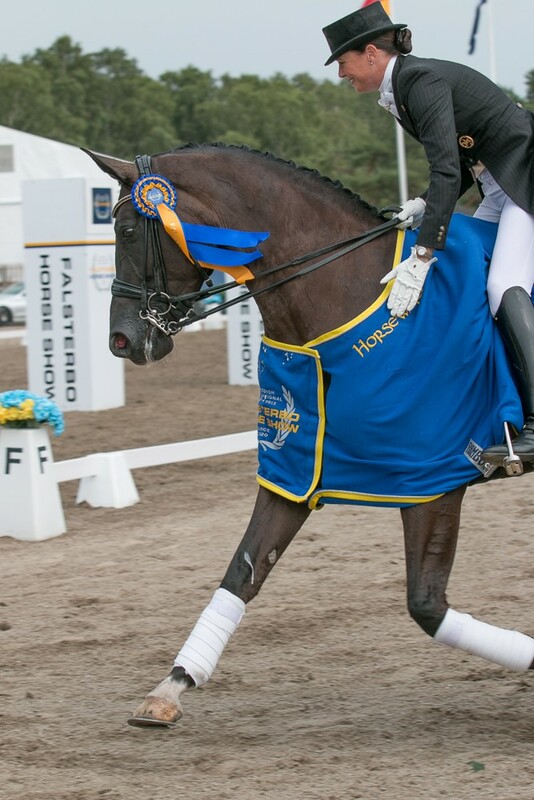 Hard work at home showed off in the arena, with Sandro Boy in the best form of his career to date. 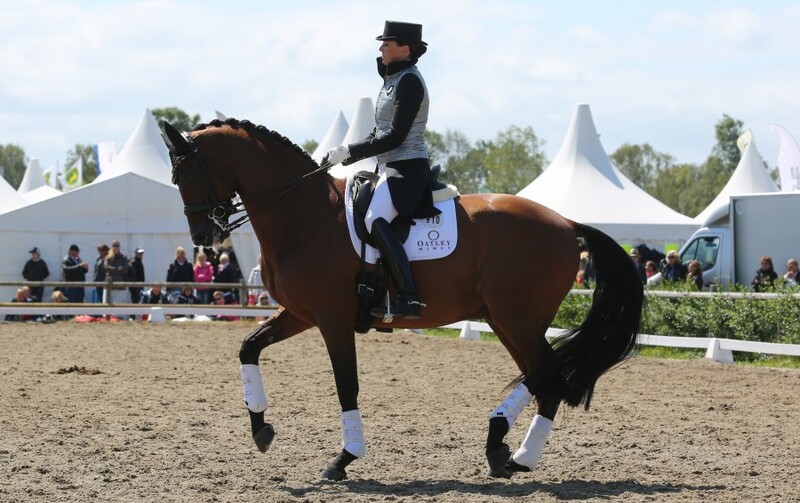 With a series of zeros for the change and then fours for the second pirouette after a scare with the camera by C, the work they produced during the rest of the test was very good, still achieving a near 70 per cent score to reach the 5* final. 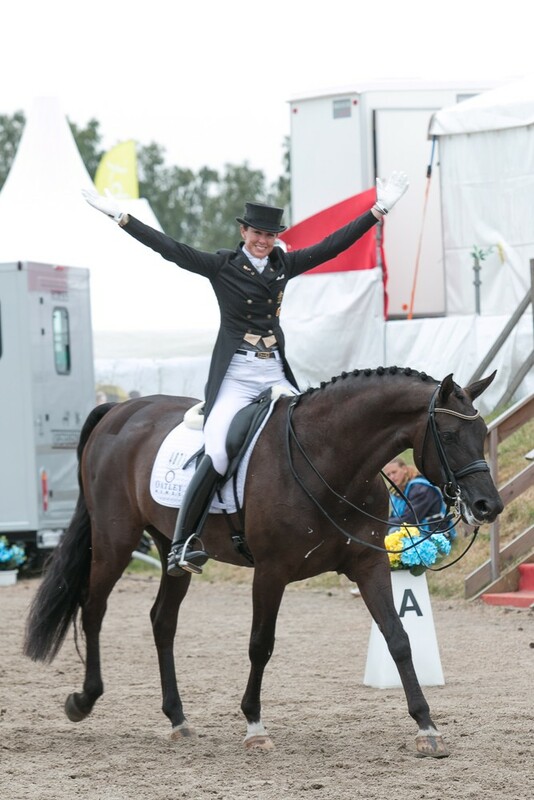 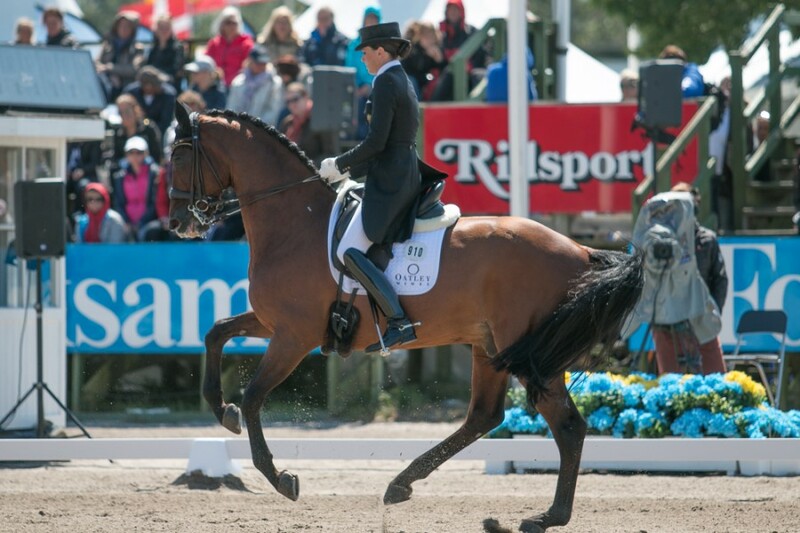 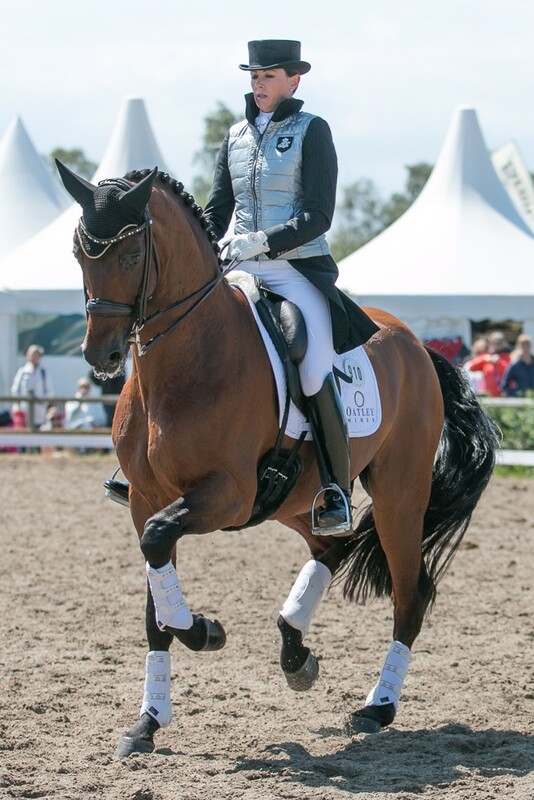 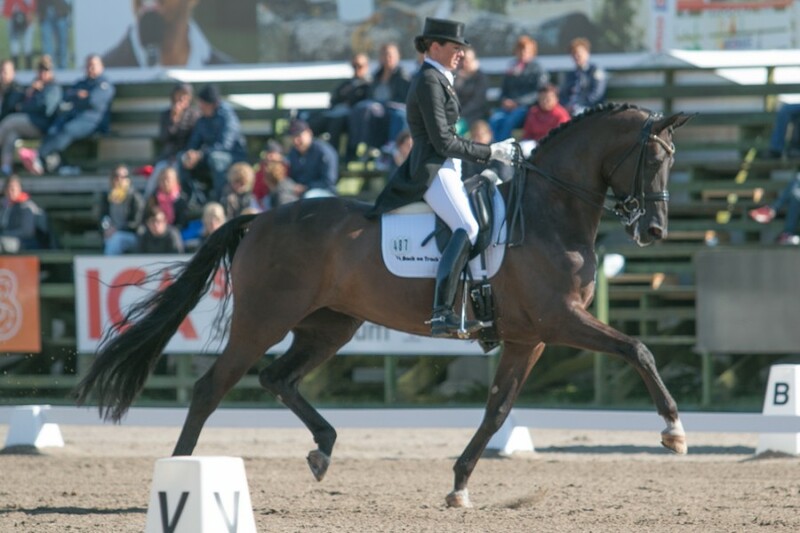 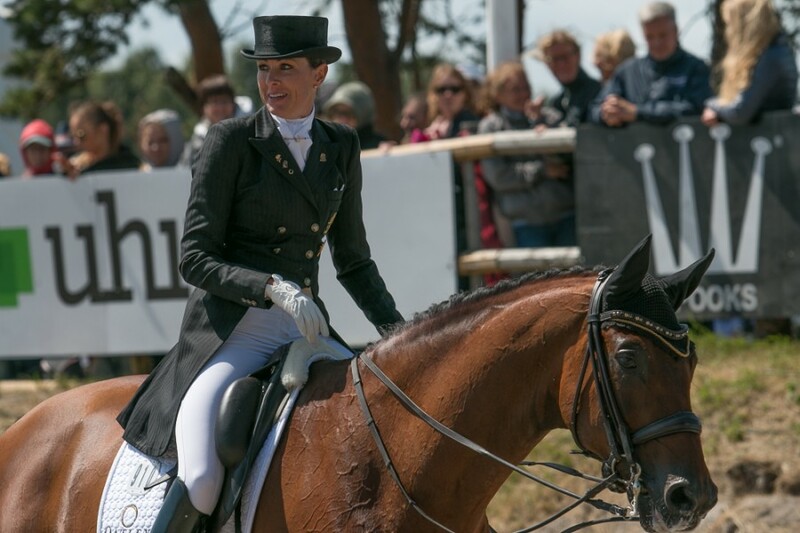 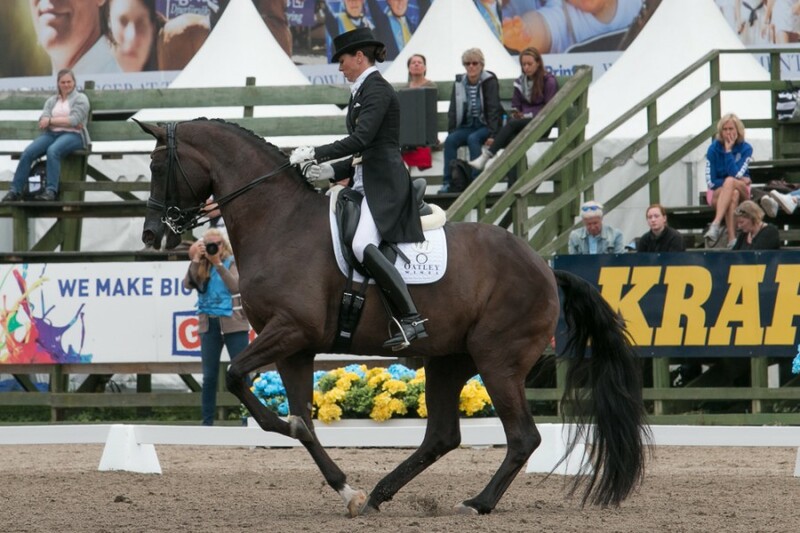 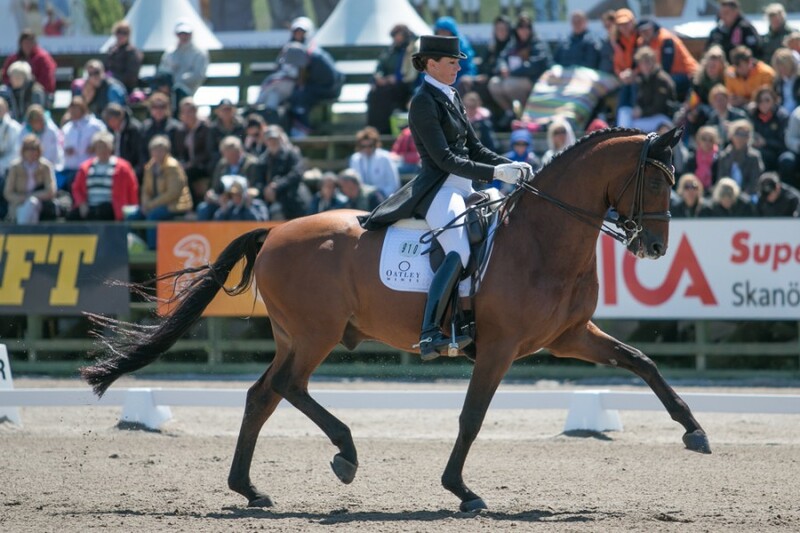 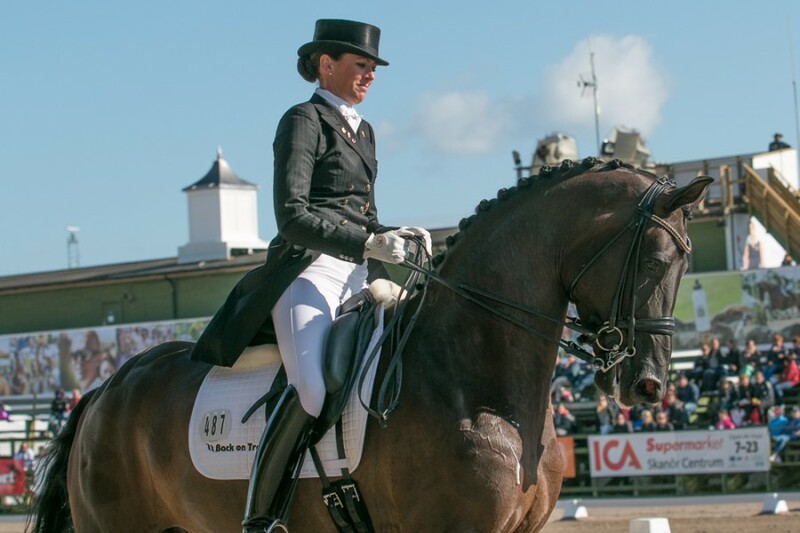 In the Freestyle, Lyndal and Sandro Boy produced a super test. 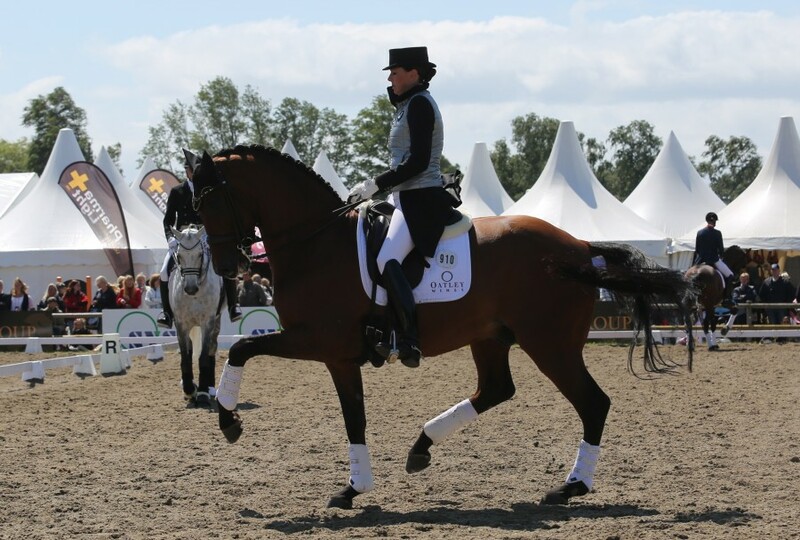 A mishap in the beginning of the ones was the only real glitch, and the duo achieved 4th place with a fantastic score of 75.450%. 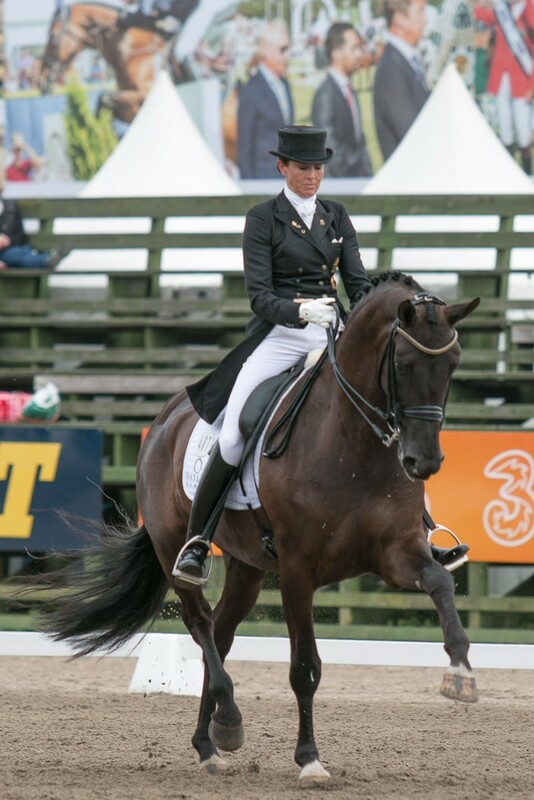 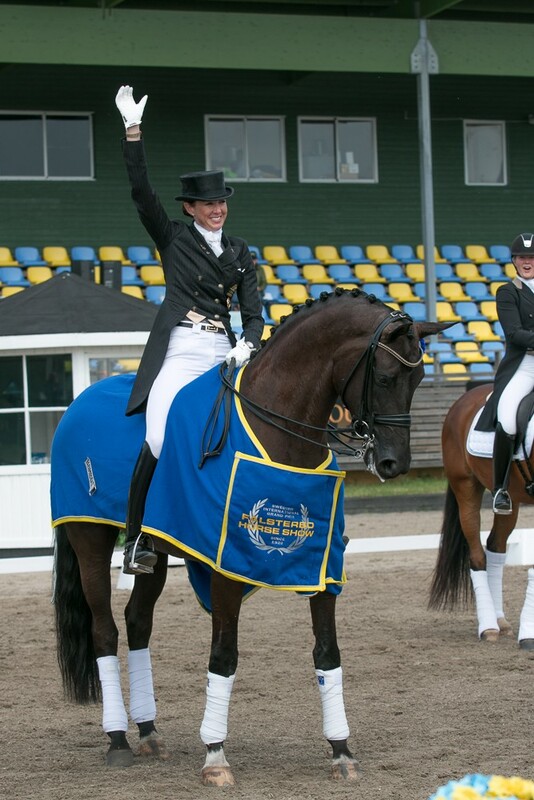 Lyndal and Dejas daughter Diva also produced a super result, to win the 7 year old championships with a score of over 73% in the Prix St George Final. 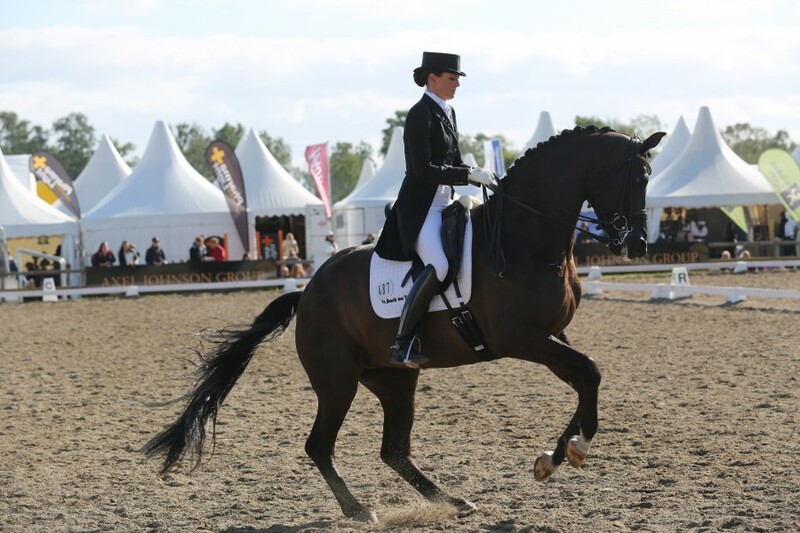 I am very proud of my wife and her progress in the last month. 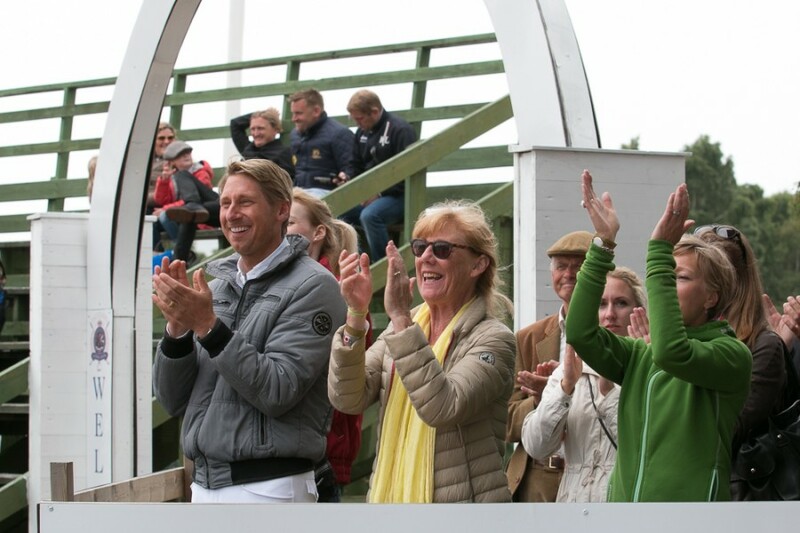 A special thank you to Mads, Malin and Kyra for stepping in to help her warm up this weekend! 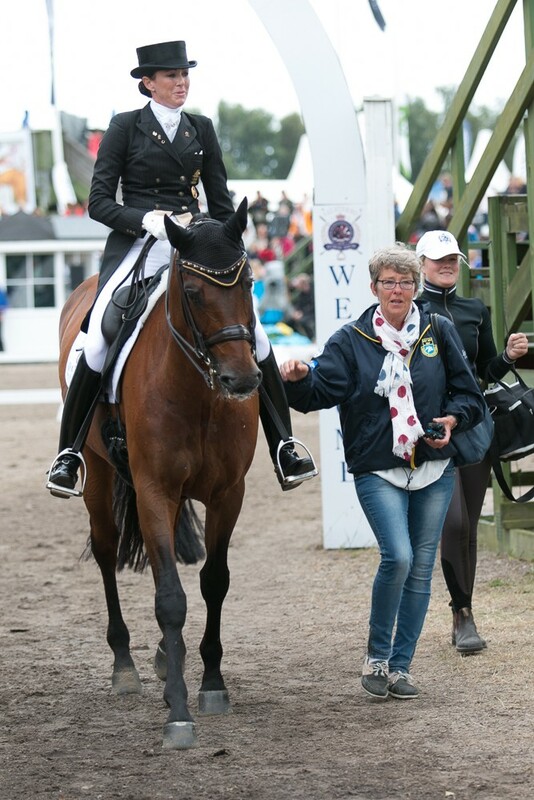 Much appreciated !